Once you get started, you won’t want to stop making trinkets and ornate arrangements for friends, family, and each room in your house. Plus, crafting with concrete is a great way to get outside and enjoy a beautiful, sunny day. 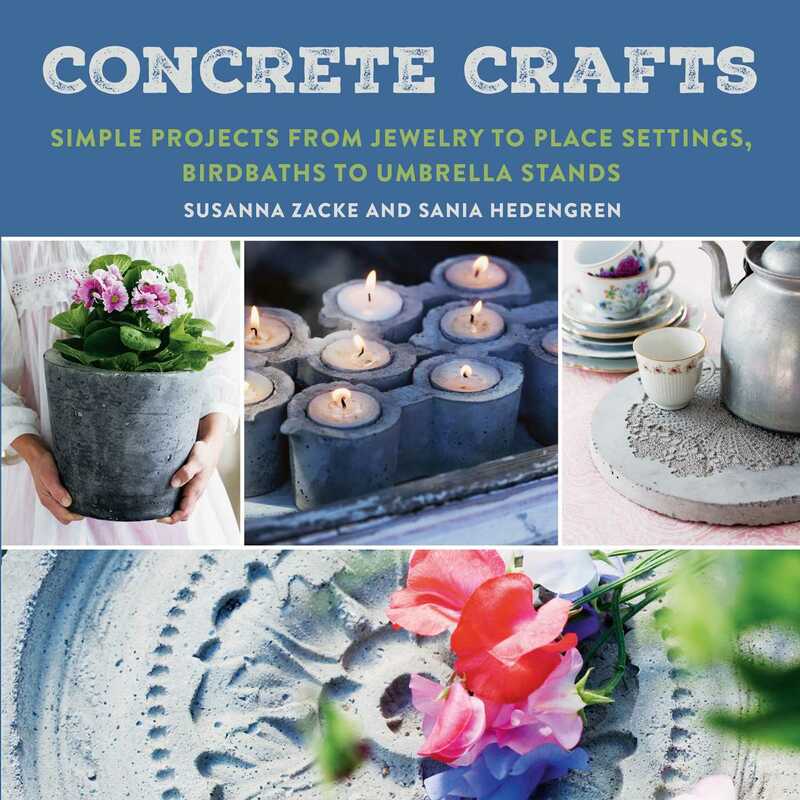 Featuring step-by-step photos, easy-to-follow directions, and Susanna and Sania’s expert tips, Concrete Crafts is the ultimate guide to outdoor crafting. Pour out your creativity and discover the beautiful, practical items you can cast!